The Jonas Brothers split up their band in 2013. After doing some solo work and facing their creative differences, a recent collaboration helped their reunion fall into place. The brothers were working together on a documentary about their lives and found themselves reminiscing for the “magic” they had when working together. 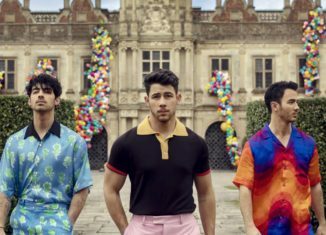 In a recent interview, Nick Jonas shared that the filming sparked a therapy session between the brothers, initiating conversations that promoted healing and allowed them to move forward into this new chapter together. By vowing to rebuild their friendships and relationships as brothers, the Jonas Brothers cleared situations that were pushed aside in the past. Joe revealed that it “took a lot of time,” and Kevin explained how they “did not hold back.” A game the brothers played was also impactful on their decision. They asked each other some very deep and pressing questions, but each had to respond with the utmost truth, which was, in turn, rated based on the honesty of the answer. This game served as the ultimate bonding experience and could be attributed as the final shove into the future of the band. With the support of their fans, as well as their families, the Jonas Brothers can now focus on balancing their musical sounds and talents together. They hope to blend Nick’s vocals, Joe’s DNCE sounds, and Kevin’s heartfelt interest in this joint effort to make musical magic once again. In recent interviews, the brothers shared their excitement over having many more singles to release as they embark on this journey once again, but this time with a fresh, new attitude!